The so-called monetary system throughout the world is constantly subject to change. Initially, when different services and products did not have any specific value but only passed from hand to hand, people were using barter. Then, there were animal skins, teeth, tails, and more. After that, gold and silver appeared, the world financial system got a new, more modern look. Precious materials have long been used by people to pay for different products and services. Then, in order to simplify the procedure for the money circulation, cash was implemented. This simplified the payment system since there was no need to carry large quantities of precious stones. After all, it's much easier to carry the cash. Now people around the world use cashless payment. Many countries have long switched to bank cards, which further simplified the funds transferring procedure. And today the world offers a new alternative system of financial relations as a cryptocurrency that is based on blockchain technology. The popularity of blockchain began to grow around 2013 and in 2017 reached its peak. Many countries are already plentifully introducing it into their payment system, assessing the advantages and disadvantages of this technology. This has increased the demand for blockchain developers. Not only the government of different countries but also private companies are interested in how to hire a blockchain developer. Let's consider in more detail what blockchain is and which countries embracing the blockchain technology. For a start, it will be useful to clarify what is blockchain technology. The blockchain is the basis for the cryptocurrency. The very name of the technology explains what its essence is. The blockchain is a chain of blocks. Blocks, by themselves, consist of data on transactions, contracts within the system, which are presented in a cryptographic form. To write a new block, that is, a new transaction, you must perform a sequential reading of information about the old blocks. Hence, the need for high computing power required to maintain the network. Thanks to intensive leaps of the bitcoin course in 2017, many Internet users are already more or less familiar with such terms as cryptocurrency, blockchain and ICO. Initially, the term blockchain appeared as the name of a distributed database (DDB). This was implemented in the Bitcoin system. In 2008, Bitcoin was created as the first blockchain app. Nevertheless, it is worthwhile to understand that the blockchain technology can be used in any systems with interconnected information blocks. Blockchain is a chain of blocks that cannot be modified and which contains one or other information. But this is a crude technical example. A good explanation is described in ‘The Age of Cryptocurrency’, by Paul Vigna, and Michael J. Casey. Imagine an island. People live on this island. Assume that the number of people is 100. It does not matter how 100 people got to the island, the main thing is that they are already there. Among them there are doctors, artisans, tailors, carpenters, hunters, cooks and other people with useful skills. For a fair assessment of each other's work, these 100 islanders decided to use the stones for cash settlement among themselves. The larger the stone, the more it costs. Once, the group decided to simplify the procedure for the turnover of stones. So that you people do not have to carry a pile of stones every day, and somehow transfer them among each other. And then, one day a group of people decided to write down in the register how many stones each of 100 people have. Then they put all their stones in one big cave. Every evening they talked and, at the same time, exchanged the information concerning the number of stones they passed on to each other. It turns out that on an island there was no intermediary who would record the transferred money and was engaged in it all the time. The absence of an intermediary saves the physical and material resources of inhabitants. So, everyone is busy with an important task for the group survival, and, at the same time, live in a certain harmony. The same thing is blockchain. Roughly speaking, this is a decentralized register and everyone in the world knows how much money on each wallet but does not know to whom this purse belongs. This arouses great interest among enthusiasts, private companies and even states. The development of blockchain applications is of interest to many developers, leaders of different states, and amateurs. Gradually, since 2009, the geography of cryptocurrency distribution and blockchain solutions have become wider and wider. As of early 2018, digital currencies were firmly entrenched in the territories of a number of countries that showed high interest in the introduction and blockchain development under the regulation of their jurisdictions. Because of the high interest in the crypto-currency market, the leaders of some countries indirectly or directly have to take regulatory measures on the turnover of cryptocurrency, supervision and mining. This has already led to the creation of a number of bills designed to settle cryptornics. The USA, being a territory with a free economic zone, has become a haven for many stock exchanges where cryptocurrency blockchain implementation trading is conducted. In the United States, exists the Financial Crimes Enforcement Network (FinCEN) bureau. FinCEN employees collect and analyze financial transactions. In 2013, the bureau found it necessary to regulate transactions relating to the exchange of cryptocurrency for cash or transferring money to bank cards. The same regulation goes through the operation of exchanging fiat money. Similar projects to regulate the turnover of cryptocurrency are necessary for combating money laundering, sponsoring terrorism and other monetary crimes. In the first quarter of 2014, USA Internal Revenue Service released a guide to the taxation of operations with bitcoins and other virtual currencies. Management applies to both current operations and past transactions. For the purposes of paying federal taxes, bitcoins are treated as property. That is, those who purchase bitcoins as an investment instrument will receive a profit from "capital gains" when selling bitcoins, and not profit from "exchange rate differences". As for persons engaged in the mining (release) of bitcoins as commercial activities, their profits from this occupation are also subject to taxation (based on who is more engaged in the bitcoins’ mining, in the US it is most often a tax from independent contractors). Nowadays, ICO is also under regulation in the USA. In connection with multiple cases of illegal financing of ICO projects, the Security and Exchange Commission (SEC) has developed a method for controlling tokens, which will reduce the threat that ICOs will not be able to fulfill their tokens within the specified time limit. The SEC is already considering the setting of the Simple Agreements for Future Tokens (SAFT) rules. SAFT, in turn, regulates the ability of ICO to create some necessary rules for pre-sales. Legal regulation of operations with cryptocurrencies in Canada provides for a cryptocurrency as a means of payment, which is noted by a large number of installed bitcoin-ATMs. Also, in Canada, there are programs that will allow people better understand blockchain technology and blockchain architecture. The Canadian government also introduced the development of a digital version of the Canadian dollar. Governmental authorities that perform adjustments to operations with cryptocurrency only if necessary. The main task, at the moment, is to monitor the development of the digital currency and blockchain technologies. The Canadian Ministry of Finance in January 2014 reported that it does not recognize Bitcoin as a means of payment. However, the Bank of Canada representative voiced a different vision of the situation. It was pointed out that insignificant autonomous financial systems, like Bitcoin, do not pose a significant threat to the Canadian financial system. Various negotiations in the government of Canada gave a course to the consideration of the issue at the level of legislation. The bill, proposed in June 2014, was approved by the Governor-General of Canada. According to the draft, the Crypto-Currency Exchange must register with FINTRAC (Financial Transactions and Reports Analysis of Canada) as financial institutions; companies are obliged to enforce laws in the field of money laundering: notify the regulator of suspicious transactions, introduce user verification and the like; banks are not allowed to open accounts for cryptocurrencies that have not been registered with FINTRAC. Also, in Canada, the taxation of activities with cryptocurrencies is provided at the legislative level. In Canada, payment for goods or services can be made electronically, however, a tax charge is taken, as from a barter transaction. If citizens want to implement the cryptocurrency, they pay a tax on profits or on capital gains. Labor payment in Canada is also possible using cryptocurrency. This is a common practice for Canadians, and it is also subject to taxation. The tax is levied in accordance with labor law. In Australia, the ministers admitted that they can not forbid their citizens to choose which currency to use so that the crypto climate here is also comfortable. However, it is a bit closed and depends on the Australian context - this could be facilitated by the country's location remote from the other world. The Australian currency exchange Bitcoin.com.au has launched a new service, with which the country's residents can purchase Bitcoins and Ether for Fiat. Since March 1, 2018, this service has become available in more than 1200 newsstands. This allowed many people without much difficulty to buy bitcoin, while not wasting time to read the blockchain development tutorial. Also, representatives of the Australian Taxation Office (ATO) make it clear to the public that they are loyal to the introduction of cryptocurrency into secular life. ATO is interested in practical issues that may affect the ability of taxpayers to calculate capital gains and capital losses for income tax on the growth of cryptocurrency capital. In December 2013, President of the Reserve Bank Glenn Stevens said that in Australia, you can store American dollars, euros or any other currency absolutely freely. Also, Stevens noted that there is no rule of law prohibiting people to pay in a store with another currency, if they want it. In addition to all of the above, the use of cryptocurrency will be introduced into the aviation industry. Brisbane Airport in Australia announced the introduction of a payment system for cryptocurrency. Passengers will be able to pay at the airport with such digital currencies as Bitcoin, Dash, Ethereum and others. Cryptocurrency will be accepted in several shops, and then in all terminals of the airport. This method of payment allows people to maintain anonymity and buy tickets without intermediaries, due to which a low commission and a more favorable exchange rate are possible. In December 2013, the Swiss parliament proposed a postulate that bitcoins should be considered as foreign currency. The postulate was signed by 45 out of 200 members of parliament, and the final decision will be made in 2014. Also in Switzerland, tax programs were introduced, according to which laws on the security of cryptocurrency transactions were launched, as well as laws that prevent money laundering processes. A few years ago in Western Switzerland, the “Bity” cryptoсurrency exchange began operating. The benchmark is aimed at large and retail customers. At the moment, the exchange offers to buy a currency for Euros or Swiss Francs. Also, on the exchange's website, the management promises to connect other options soon. In Switzerland, as in the rest of the world, many are willing to have a cryptocurrency in their wallet. This is not surprising, considering the reputation of Switzerland in the financial sphere. To satisfy such desires, in 216 the Swiss bank Vontobel launched the programs "tracker certificate". These programs allow you to invest in bitcoin, without physically purchasing a cryptocurrency. Similar decisions were warmly welcomed by the clients of exchanges. By the beginning of the second quarter of 217, Vontobel Bank multiplied in ten times its investment in bitcoin. In a similar way, a private bank Falcon joined with Bitcoin Suisse, and the Swissquote trading platform began to cooperate with Bitstamp. Thanks to these financial solutions, specialists of blockchain programming are highly valued in Switzerland. As, however, in the other aforementioned countries. It is believed that Japan is the birthplace of a person or a group of people who have developed a protocol of cryptocurrency. Also, it is assumed that this group created the original software version, where the blockchain code was implemented. Japan has long been known as a high-tech country, so it's no surprise that it is on the lists of countries embracing blockchain technology. In early 2017, bitcoins as legal tender was recognized in Japan, which gave consumers the opportunity to spend them not only in virtual but also in real life. Several Chinese investors also use cryptocurrencies, but mainly to circumvent the restrictions on the withdrawal of financial assets from the country. Japan is the first and only country that has a competent system for regulating cryptocurrency transactions. There is the largest bitcoin market. According to some sources, during the time of excitement associated with bitcoin at the end of 2017, the largest share of performed transactions worldwide was conducted in Japan. The concern of the authorities regarding cryptocurrency transactions originates in 2014, when the exchange of digital currencies Mt.Fox announced bankruptcy. Since 2016 in Japan, bitcoin is considered a legal tender. Taking into account the rumors about the creators of bitcoin, as well as the legal circumstances associated with the cryptocurrency in Japan, this country can be considered the birthplace of the blockchain programming. China is also worth mentioning in this list. The Chinese government is very conservative about the cryptocurrency, and cryptocurrency transactions. In this country, according to various sources, from 60% to 70% of bitcoin is produced. However, this is not a state program. In 2013, all financial companies were prohibited from participating in any operations with bitcoins. This initiative came from the People's Bank of China. The management of the bank does not consider bitcoin currency. In the same year, an order was issued, according to which Chinese banks should close access to Chinese web services that deal with bitcoins and other cryptocurrencies. However, a separate individual can freely participate in various crypto transactions. In different countries, the government has different approaches to cryptocurrency and bitcoin in particular. There are countries where operations with cryptocurrencies are officially permitted, there are countries that negatively relate to this, but there are also completely neutral ones. Usually, according to the law, the cryptocurrency is considered as a commodity, as for example in the USA. In Switzerland, financial institutions are allowed to conduct transactions and various transactions with cryptocurrencies. In Japan, Bitcoin is a legitimate currency. In China, the situation is ambiguous, since it is forbidden to conduct operations with cryptocurrencies for banks, but it is allowed to individuals. 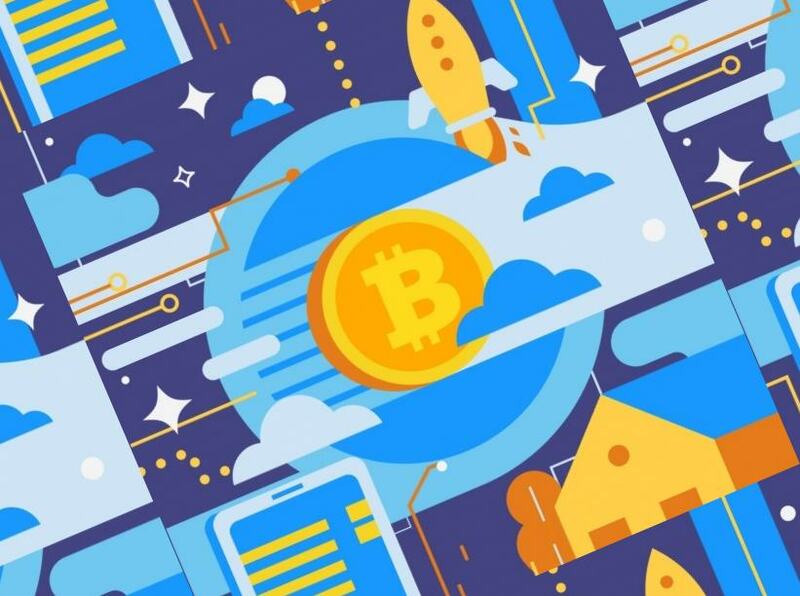 Cryptocurrency and blockchain technology has a number of advantages, such as transparency, expedited settlement of transactions, smart contracts blockchain, decentralization, user-managed networks, and lower transaction costs. Regarding the last point, there is an opinion that if all business activity goes to blockchain technology, the global costs for transactions can be reduced by 10%. On a world scale, a very impressive number.